Module Command Errors are errors returned from the module and not WHMCS, so for provisioning modules (cPanel, Plesk etc) they come from your server. Once the necessary corrections have been made use the Module Command buttons under the client's Products/Services or Domains tabs to attempt the command again. Sometimes the module returns an error WHMCS does not recognise and this can result in an Unknown Error message. Reproduce the Module Command Error. Reload the Module Log page. 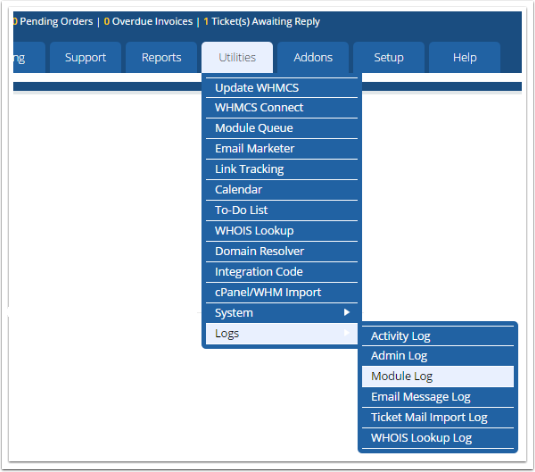 You will now see the communication between WHMCS and the remote system. The Response column will contain an error message that the server/registrar's documentation or support team will be able to explain.